Melissa T. asks: What is the process involved with climbing Mount Everest? Do you need a permit or something or can anyone just try and climb it if they want to try it? Standing at a foreboding 8,848 metres (or 29,029 feet) high, Mount Everest is recognised as the Earth’s highest mountain. While Everest isn’t generally considered to be the most difficult peak to climb (that honor probably belongs to either Annapurna in Nepal or K2 on the China/Pakistan border), it is the most famous and, as such, sees the most people attempting to scale it each year. But can anyone just show up and start trekking up the mountain? In a word- no. The first thing you’ll need is to be over 16 on the Nepali side and over 18 on the Tibetan side. 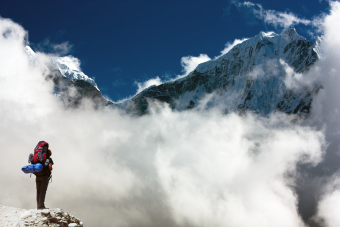 The second thing you’ll need if you want to climb Everest is money- a lot of it. The exact cost of climbing the mountain varies wildly depending on a number of factors including from which side of the mountain you want to start, how many people you’re attempting to climb with, and what you’re looking for in terms of support. A bargain basement cost a non-native could theoretically get away with would be in the range of $20,000-$25,000. A more realistic price tag would be closer to $40,000-$60,000 from the Nepal side and about $30,000-$40,000 from Tibet. This covers things like Sherpa guide fees, oxygen bottles (which cost about $500-ish a bottle with a minimum of about 5-6 needed by most), gear, supplies, travel, performance enhancing drugs (about two-thirds of climbers use these according to Dr. Luanne Freer, founder of the “Everest ER”), etc. If you really wanted to skimp, you could get away with not using extra oxygen, but this isn’t recommended as about 40% of the people who die in the attempt at climbing Everest do so trying to do it without oxygen tanks. This is despite the fact that only about 3% of all climbers make the attempt without extra oxygen. Further, such an attempt will likely result in, at minimum, a small amount of brain damage. In contrast to the penny pinchers, if you want an ultra-premium package from a given guide-organization, including Sherpas to carry every little thing, meals prepared for you, plenty of bandwidth to Skype people back home as you summit (yes, there is WiFi all the way up these days), many oxygen bottles stored along the way, etc. you can pay as much as $200,000+ per person to climb the mountain in style. It should be noted, however, that even with such a package, you’ll still need to be in exceptionally good shape and have a great deal of experience in extreme mountain climbing if you want to have a realistic chance at actually making it to the top. On that note, another thing you’ll need is a permit to climb Everest, which you can apply for from either Nepalese or Tibetan authorities, depending on which side of the mountain you want to make your attempt on. As for the cost of these permits, which is included in the aforementioned price estimates, up until recently this was largely dependent on the size of the group you were planning to climb with. For instance on the Nepalese side, a group of seven people could purchase a permit granting them permission to climb for about $10,000 per person. In contrast, for a person wanting to buy a permit just for themselves, this used to cost a staggering $25,000. As for the less popular Tibetan side, the permit there will currently cost you $7,000 per person. The money from these permits goes to the respective government of the country you’re climbing from and is partially spent on maintaining the various camps on the way to the summit and paying the staff who work there. Said staff are also responsible for cleaning and maintaining at least parts of the mountain, a job that’s exactly as dangerous as it sounds, with several Sherpas having been killed over the years cleaning trash from the mountain’s higher areas. One thing that isn’t guaranteed to be collected, however, is your body if you die too far up. As such, there are around 200 bodies still up on the mountain from the near 300 or so people who’ve died in the attempt at climbing Everest in the last century. On this note, any group wishing to climb Everest on the Nepal side also has to pay a $4000 deposit that is only returned if the individual returns with their trash. This fee is meant to discourage people just throwing their garbage onto the mountain as they trek. This isn’t just a problem with having to send people up to collect the garbage, but also because the mountain is revered as holy by some Tibetan and Nepali people. But let’s say that you’re an expert climber who has all the gear, experience, and know-how to conquer Everest, but don’t want to pay for permission to climb it. What exactly is stopping you from just climbing it when you please? Mainly that it’s a really bad idea on several points. First, if caught, you will incur a massive fine and some legal troubles. A second thing to keep in mind is that the money from permits, along with paying for the upkeep of the various camps, also pays for potential rescue and evacuation teams who are on standby in the not totally unlikely event something goes wrong. Obviously rescue isn’t generally possible in the higher regions unless someone carries you down to base camp, but the teams are there for when an attempt can be made. However, the Nepalese government note that it is under no obligation to rescue those who are trespassing on Everest and, as such, anyone who gets into distress without getting a permit faces the very real possibility that no one will bother to come help them. Further, given that such a trespasser would likely be attempting to climb the mountain with virtually no support (few guides are willing to take on a non-permitted climber), it is entirely likely said individual would get in life-threatening trouble, regardless of how experienced they are. A third and decidedly less depressing reason that climbing Everest without a permit is a bad idea is that, if you manage to make it to the top of Everest and then climb back down without being caught, you won’t be recognised as having done it. This may or may not be something you particularly care about. I did see the permitless chap being ushered down the hill. The Tibetan rope fixers were sent up to get him. I saw them bringing him down the ropes from the North Col to [advanced base camp]. It was disgraceful. They literally kicked him down the ropes. It was a disgusting example of a pack of bullies egging each other on and literally beating him down the hill. It was absolutely unnecessary as he was offering no resistance and was scared out of his mind. We got kicks and punches and Ueli got a rock in the face. One of the Sherpas pulled a knife on Simone, but he managed to turn and the knife hit his hip belt…. There was a… period where we all thought we were going to get stoned to death. So to sum up: Can just anyone climb to the highest peak Earth has to offer? Not really, unless you happen to be an adult in great shape, have a lot of extra cash to burn, proper documentation, and feel like giving the Fates a 2%-3% chance to kill you within a couple week period. The first American woman to technically summit Everest without the aid of oxygen tanks was the aforementioned Francys Arsentiev in 1998. However, she is not credited with the accomplishment because she didn’t make it back down. When her husband, Sergei, went back alone to look for her after he noticed she was missing from base camp after summitting, he encountered other climbers who stated they’d encountered his wife near a dangerously slippery rock face. They gave her oxygen, but ultimately had to abandon her when the oxygen ran low. Sergei was never seen alive again. 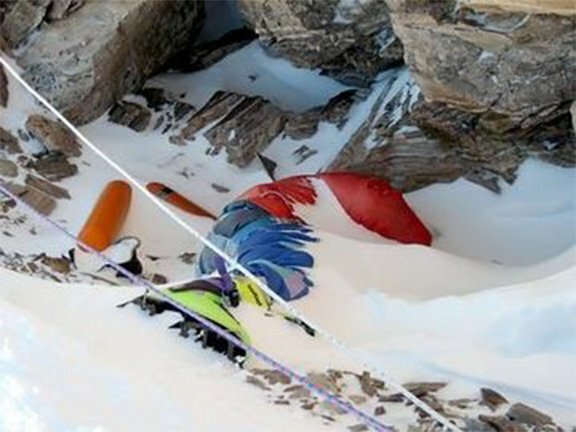 Amazingly, despite being exposed to the elements near the summit all night, and with no extra oxygen, the next day Francys was found still alive, lapsing in and out of consciousness, begging for help. 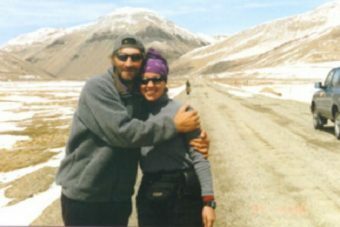 The climbers who found her the second time abandoned their summit attempt and tried to help her. However, they were ultimately forced to leave her behind and return to camp as attempts at carrying her even a matter of metres were too exhausting in the thin air. Efforts to contact base camp for help failed. The mystery in all of this was what happened to her husband. The following year, this puzzle was solved when Sergei’s body was discovered. Near where his wife’s body lay on the extremely dangerous slope, he had slipped and fallen down the mountain to his death. The pair were survived by their young son. As mentioned, for the next nine years Francys’ body lay where she died, passed by countless climbers. This all changed in 2007 when an expedition, led by one of those who were forced to abandon her, set out to “bury” her body. They were ultimately successful, lowering her body down off the path where it remains to this day. Despite the many deaths that have occurred on Everest, only around 4% of people who’ve attempted climbing the mountain have died in the attempt. In the last decade, that number has shrunk to under 2% and the odds are now closer to 1% if you use oxygen tanks. The reduction in deaths in recent years has been largely credited to better equipment, better support as climbing the mountain has become more commercialized, and improvements in technology, such as access to the internet as one makes the ascent, which is particularly helpful when monitoring the weather and the like in real time. In contrast, the mountains Annapurna and K2 boast death rates of about 25% and 23% respectively. Put on some really warm winter clothes and put one foot in front of the other – for quite a long time.